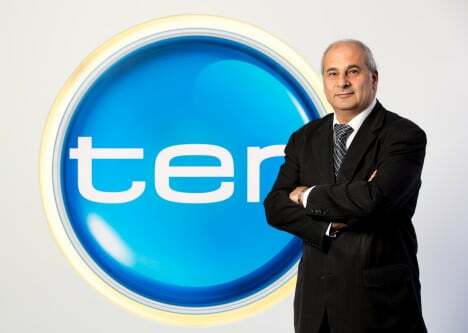 John Choueifate, executive director of news at Ten, has resigned to pursue ‘several business opportunities’, the network announced this morning. Choueifate took over the role in April 2016, replacing former news boss Peter Meakin who stepped into a “consultancy” role for the network. Before his role as Ten’s news boss, Choueifate was network news director. He joined Ten from Seven in 2013 after initially denying he had resigned from his role as Today Tonight’s executive producer. Beverley McGarvey, Network Ten’s chief content officer, said a new head of news would be announced soon. In the meantime, Meakin – who is now Ten’s executive consultant for news and current affairs – will oversee the division. “News is a critical part of Network Ten’s content and we will continue to invest in our local news presence,” McGarvey said. “Ten Eyewitness News First At Five dominates its time slot and is a key part of the Ten brand and our content schedule, while the launch of our exciting and innovative new website ten daily this year will take our news content – and other content – to a new audience. “I would like to thank John for his valuable contribution to Network Ten over the past four years and wish him all the best for the future,” she added. Choueifate thanked his staff for their “professionalism” and “work ethic”, describing his time with the network as “enjoyable”. “You are all superstars in my eyes. It’s also been a pleasure working with some good people on other programs and in other departments across the business,” he said. Choueifate’s departure comes at a time of change for Ten. The network went into administration in June last year, following the withdrawal of financial support by interests controlled by WIN owner Bruce Gordon, Lachlan Murdoch and James Packer. Mark Korda, Jenny Nettleton and Jarrod Villani of KordaMentha were appointed as administrators, until US media giant CBS announced it would buy the network in September. The acquisition was finalised in November. “News is a critical part of Network Ten’s content and we will continue to invest in our local News presence,” Ms McGarvey said. Gee for a Network with one news bulletin that statement is hilarious.